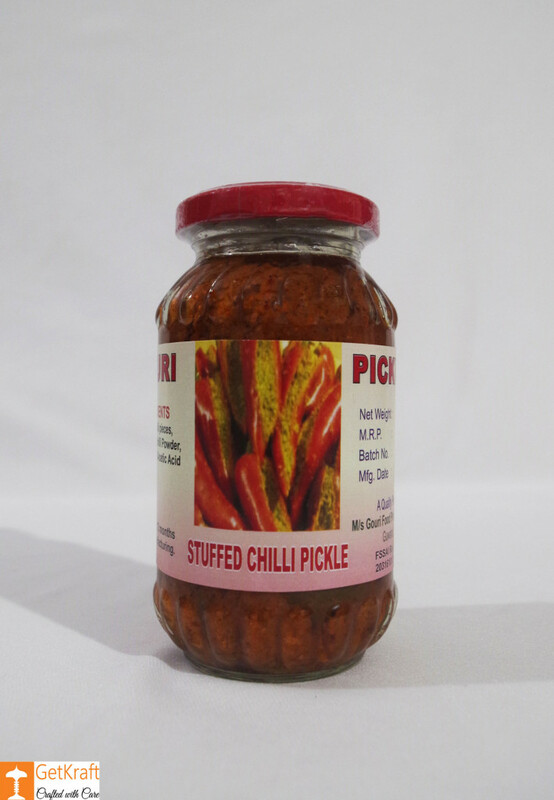 Authentic 100% Organic Chillies and Homemade Stuffings have been used to make this Pickle. 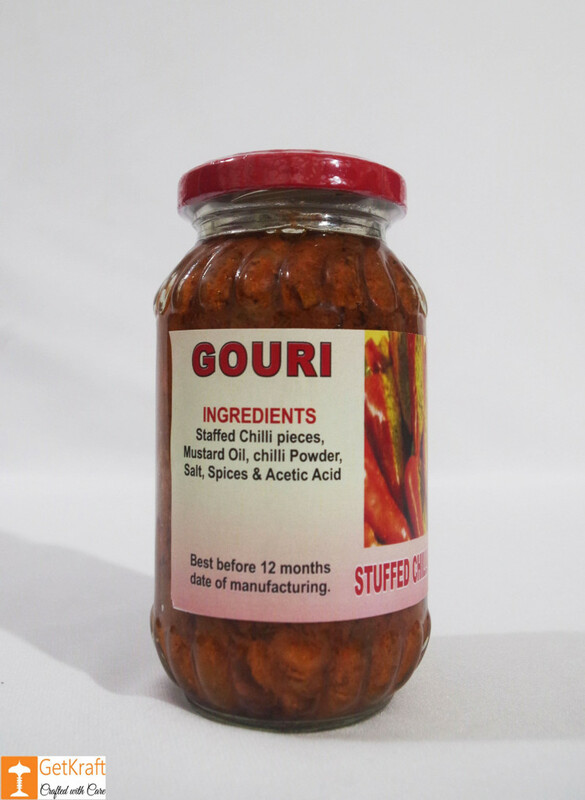 Has an Irrestitible Fragrance of a Combination of Indian Spices. Have it with rice, roti or paranthas for that Extra flavour and Taste. 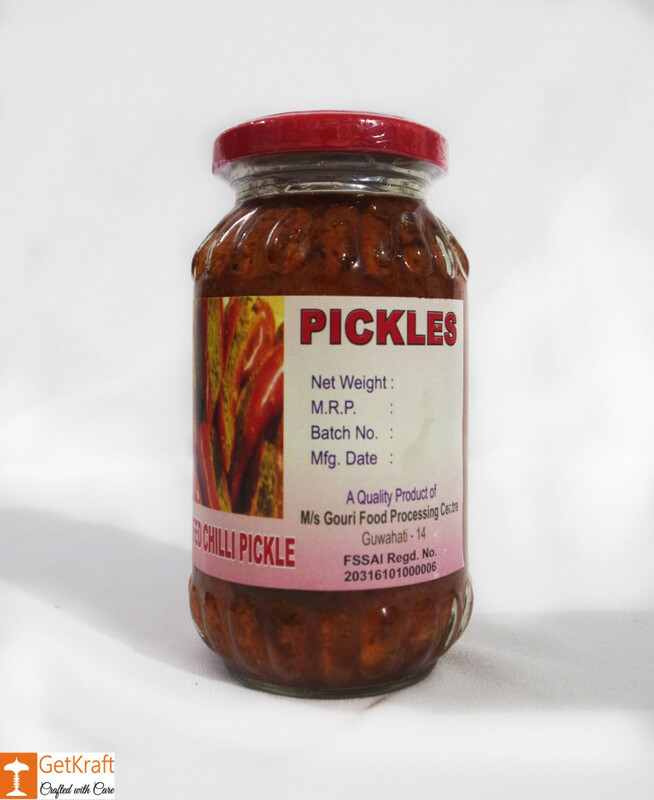 Ingredients: Stuffed Chilli Pieces, Salt, Mustard Oil, Chilli Powder, Spices and Acetic Acid.